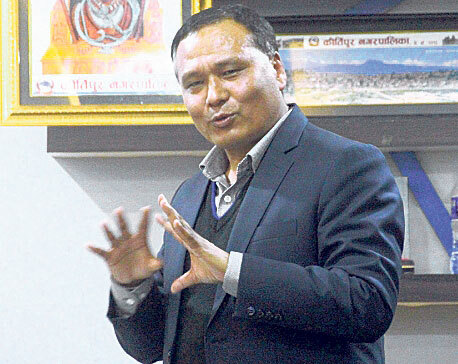 KATHMANDU, March 25: Managing Director of Nepal Electricity Authority Kulman Ghising will be travelling to Upper Tamakoshi project site in Dolakha every month for monitoring of the project. Ghising said his regular visits to the project site and meeting with the officials, contractors and consultants will expedite project works. Ghising’s decision has come a day after Minister for Energy, Water Resources, and Irrigation Barsaman Pun visited the project. These site visits and meetings will support the project team in dealing with new challenges surfacing along the way, and complete works to meet the deadline, Ghising said. During his visit to the project site on Saturday, Pun had said that they wanted to complete the project by mid-December as per the new schedule. Pun further said that he wanted the project to be completed within the given time as it was a matter of great concern for many shareholders. General public including the project-affected locals have invested over Rs 10 billion on the project. “We had asked officials to give exact deadline last year. They had asked for two years, and it seems they were right about the timeline,” Pun told a meeting of project officials and locals on Saturday. Pun said that the project had a prospect of making a big impact on the country’s economy.